P.T. 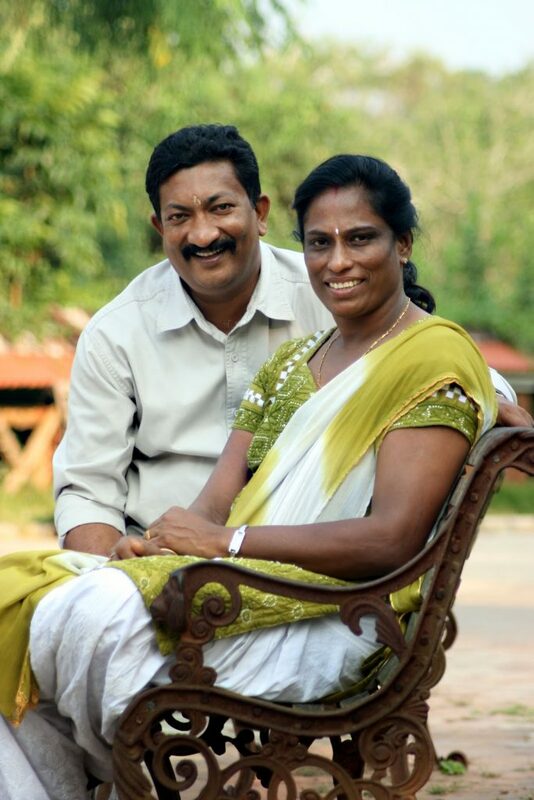 Usha, at 54, is still one of the most talked about track and field athlete of India of all time. This legendary athlete has been a constant in our G.K books for years. Not only she is a treasure, us Indians will always be proud of but now as a coach, she is helping other aspiring athletes to take on her legacy and shine bright like she did and still does. In fact, Jisna Mathew, a trainee at Usha’s Athletics School, has been clinching medals, she recently won a Gold at the Asian Junior Athletics Championship. With over 100 medals to showcase, she is the queen of track and field. 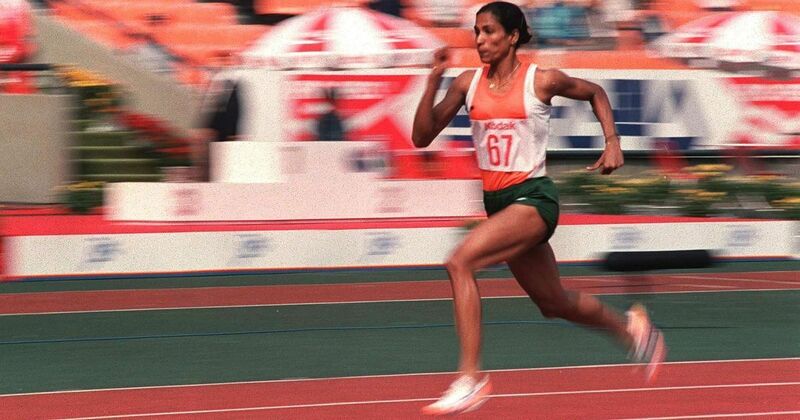 Remember while growing up how we referred fast runners by her name P.T Usha (1982 Asian games gold medalist). She is one of India’s best-known women athletes with a 2-decade long career and people call her with love “Payyoli express“. Usha has won 102 national /International medals and awards throughout her illustrious career. She won 13 Gold medals in Asian Championships and a total of 33 International medals. She received the prestigious Arjuna Award and Padma Shree in 1984 for showing outstanding performance in sports. A year later in 1985, she was adjudged as the best women athlete at the Jakarta Asian Athlete meet. To add to her glory, In 1986 at the Seoul Asian Games, the Indian Olympic association awarded her with the Adidas Golden Shoe and named her the Sportsperson of the century. Usha’s struggle and achievements are unparalleled. She was born in a poor family in Meladi-Payyoli, Kerala. 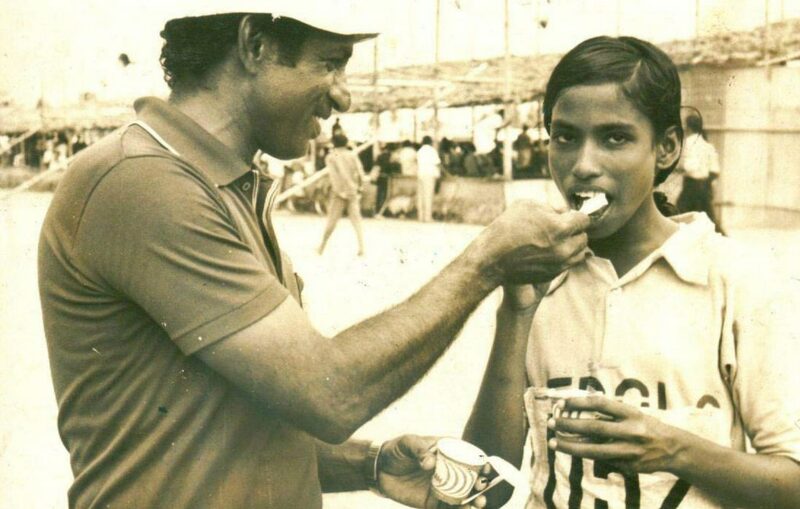 Despite the poverty and lack of nourishment, Usha showed early aptitude in sports. Realizing her talent, the Kerala Government awarded her a scholarship of Rs. 250. She had to go to a special sports school at Kannur for education and training. The turning point in Usha’s life was when O. M. Nambiar, her coach throughout, spotted her in 1976 at the National School Games. 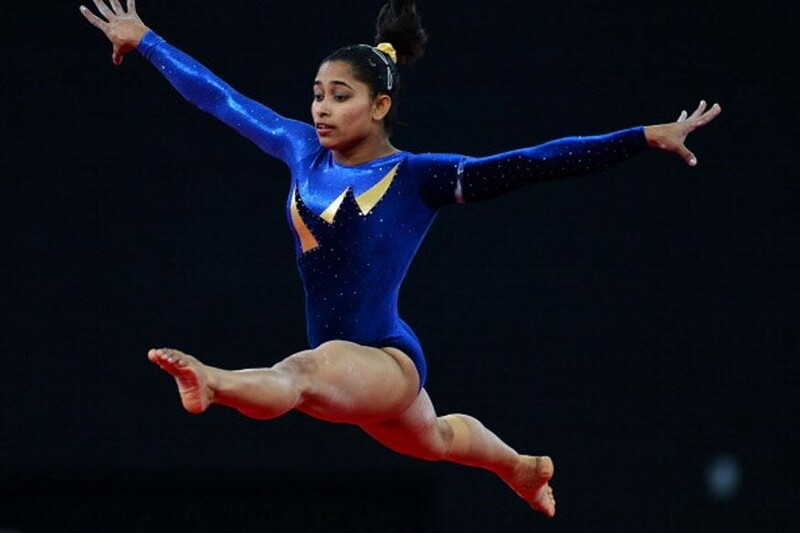 He realized Usha’s great potential and trained her to be the Indian legend she is today. P.T Usha started her international career in 1980 at the Moscow, Olympics. But disappointment stuck as she lost bronze by 0.01 second. She proved her real mettle when she won silver medals in 100m and 200m event at the 9th Asian Games in 1982 in New Delhi. 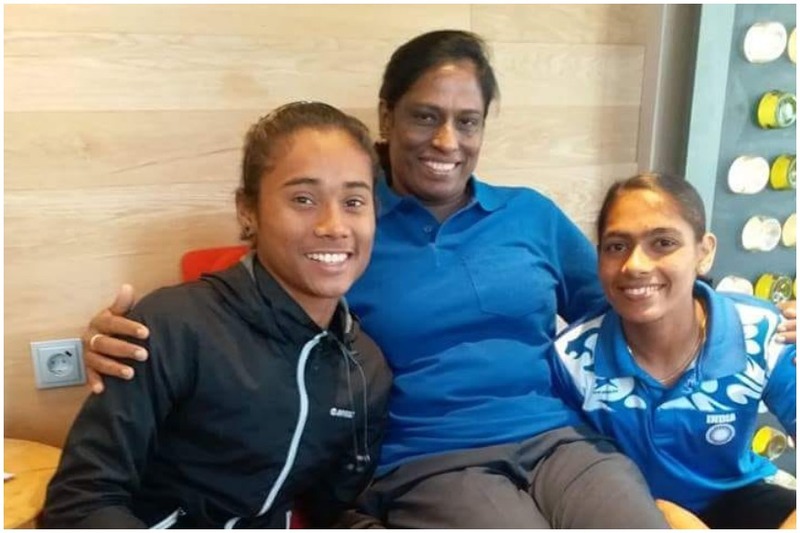 In the 1985 Jakarta Asian Meet, Usha earned her title of the sprint queen as she won five gold medals (in the 100m, 200m, 400m, 400m hurdles, and the 4x400m relay) and a bronze in the 100m relay. In the 1986 Seoul Asian games, Usha notched up four Gold medals and silver. Place Of Birth: Payyoli, Kozhikode District, Kerala. 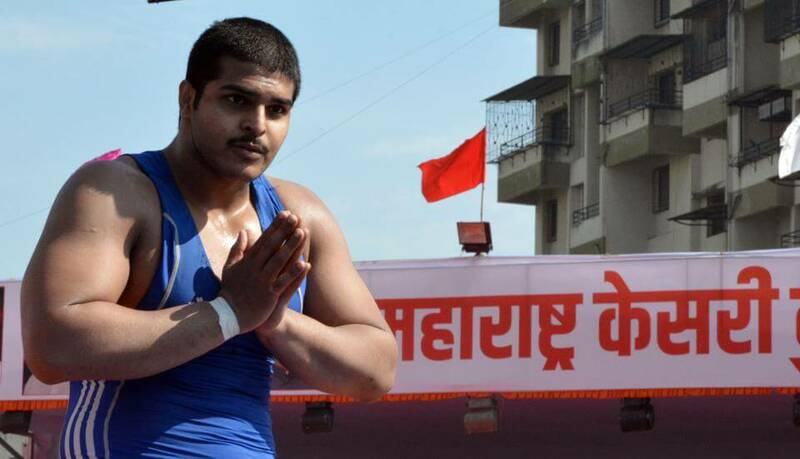 India at 1984 Olympics competed but couldn’t manage to win a medal. However, there’s a lot that happened. 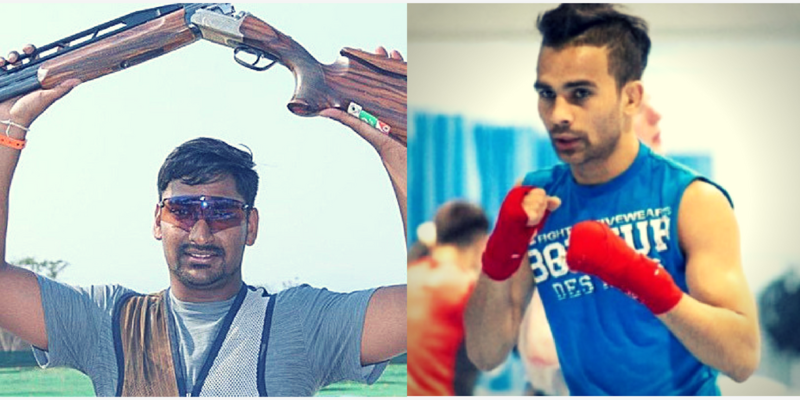 Shiny Abraham, an Indian athlete reached the semi-finals of 800m and became the first Indian to reach the semi-finals of an Olympic event. She didn’t make it to the finals but what an achievement to have, given that she was the National champion in 800m for 14 years! P.T Usha had both the best and a little tough time during the 1984 Olympics. She came 4th after losing the bronze to Cristieana Cojocaru by 1/100th of a second in Women’s 400 m hurdles. Indian Women’s 4x400m relay team which included P.T Usha, Shiny Abraham, M.D Valsamma and Vandana Rao, also reached the finals but finished last. She is always seen supporting athletes and has openly spoken about the issues faced by Indian Athletes on an international Level. The amount of responsibility she feels for Indian Sports system is both important and commendable. She is always seen encouraging Indian athletes on Social platforms like Twitter and Facebook. 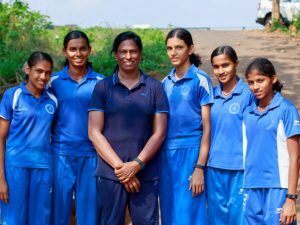 P.T Usha after retiring from her career, started an athletics school in 2002 at Koyilandi, Kerala to impart training to girls from all over the country. This school recruits children in the 10-12 age group. She started this school with an aim to get an Olympic medal for the Country. 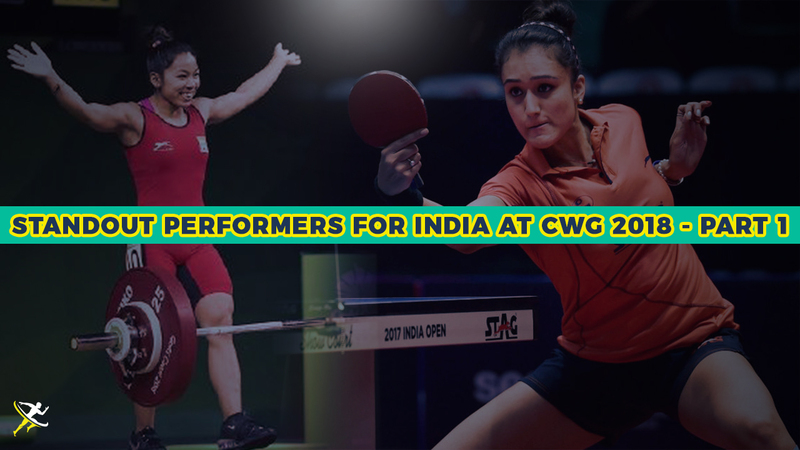 Usha believes that India is lacking behind not in terms of talent but basic facilities. Her school provides free training to the athletes. They also have free facilities for food and shelter. Usha school is an organization that is dedicated to supporting young talents who have bigger goals but lack the facilities to reach their dreams. However, this school completely depends on one’s donations to fulfill the basic needs of the young athletes. So, if you want to support this organization, here’s how you can help. Usha settled down and married V. Srinivasa, an inspector with Central Industry Security Force in 1991. She was blessed with a boy, Ujjwal. In fact, at one point in time, she returned back to the track after a gap of 4 years and won a silver medal at the Hiroshima Asiad! The illustrious career of P.T Usha speaks for itself. She has been the finest women athlete India has ever produced. We don’t normally meet people who have done so much in their lives and who could inspire you to become something and push you continuously. Recently, Usha has joined in with the Swachh Bharat Mission, initiated by our P.M, Narendra Modi. She also took the initiation to support the flood-affected state- Kerala. P.T Usha has shown us to never stop even after reaching the top. 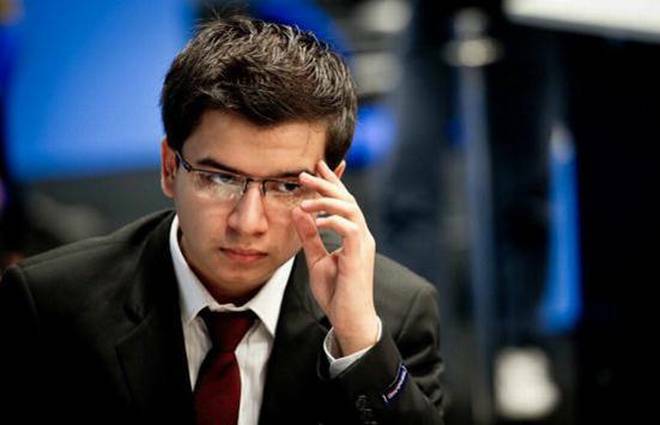 This legend will surely stay our nation’s pride forever. We hope to see more talented athletes like Jisna coming from Usha’s Athletics school in the coming future.